It is now compatible with the latest Pivotal Cloud Foundry versions from Pivotal PCF 1.12, PCF 2.0 and PCF 2.1. With the update of this tile we improved the user experience during the installation process. There are no additional requirements to other tiles expecting Pivotal Application Services anymore. Where can I download the a9s MongoDB tile? 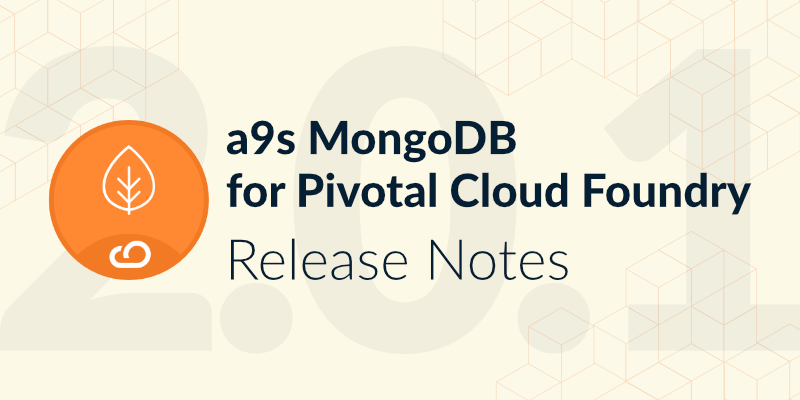 For more information about the new version of a9s MongoDB for PCF tile feel free to contact our support. Note that we also provide a free support to get your proof of concept installation running.